In all, 24 people died so far this year as a result of compounding pharmacy negligence. These facilities, in case you aren’t familiar, are charged with making custom-mix medications that aren’t available from standard pharmaceutical firms. Although the medications they manufacture are no less potentially dangerous than those sold by the mainstream companies, they are not subject to the same regulations. There are efforts to change that, but little concrete action. According to the Wall Street Journal, the U.S. Food and Drug Administration has reported 14 national or multistate recalls of compounding pharmacy medications since the beginning of the year. Compare that to just two recalls from compounding pharmacies in 2012. Four years prior to that, there were none. We don’t believe that’s indicative of the fact that there were fewer problems at these facilities at that time. Rather, officials are more closely scrutinizing compounding pharmacy practices. It’s troublesome to know that many of these issues have been longstanding problems at these sites, which were previously overlooked. Some of the recent recalls have included testosterone pellets, cataract drops and steroid injections. Meanwhile, new cases of fungal meningitis, like the one that we first learned about last year, are continuing to crop up. 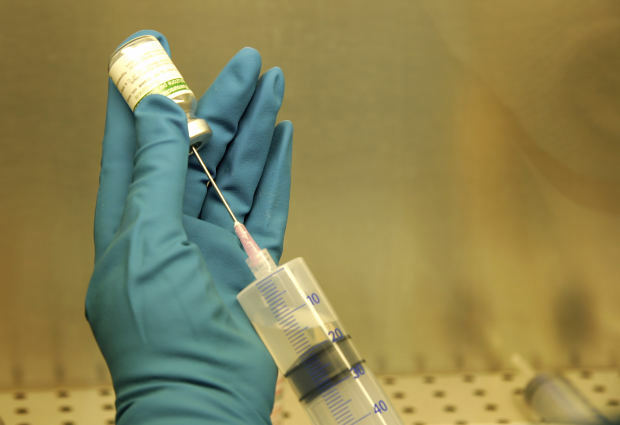 Some 700 of the 14,000 patients who received tainted steroid injections have fallen ill, according to the Centers for Disease Control and Prevention. Since the beginning of this year, another 86 people have been diagnosed and 24 have died, bringing the total number of fungal meningitis deaths to 63. Hundreds more remain in treatment. Officials believe more cases would surface, even continuing over the next several years. Not everyone who is sick might know it yet. Fungal meningitis, which normally affects plants, not people, is a disease that affects the bones and soft tissue. It can take many months to develop to a point where symptoms become apparent. Right now, the CDC is in the midst of a two-year study of some 500 fungal meningitis patients, in an effort to learn more about the long-term health effects of their condition. The agency is also hoping to monitor the effectiveness of the treatment these patients receive. Doctors say even those who seem to be doing very well on the treatment can’t definitively be given a clean bill of health because they aren’t sure what the long-term effects are going to be. In the meantime, those affected are racking up hundreds of thousands of dollars in medical debt. A Senate bill that would grant the FDA greater oversight of compounding pharmacies is lingering at the moment. It has a chance to make it to the Senate floor, but there’s no guarantee it will pass. Even if it does, it would be months and possibly years before we saw a full-fledged enforcement action. All of the fungal meningitis cases have been linked to the New England Compounding Center in Framingham, Mass.